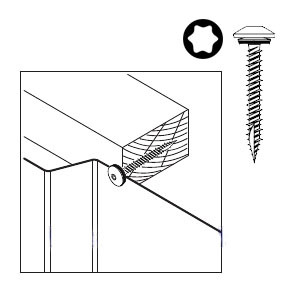 Low-Profile metal-to-wood fastener with sealing washer. Commonly used for metal siding. • Low Profile Pan Type Head. • Milled Sharp point self drills up to 24 gauge metal. • Lengths: 1, 1-1/2, 2, 3"